It is the relentless pursuit of strength that took him around the globe. From neighbouring Indonesia to far away Hungary, Ahmad Taufiq Muhammad has represented Singapore in the sport of strongman. 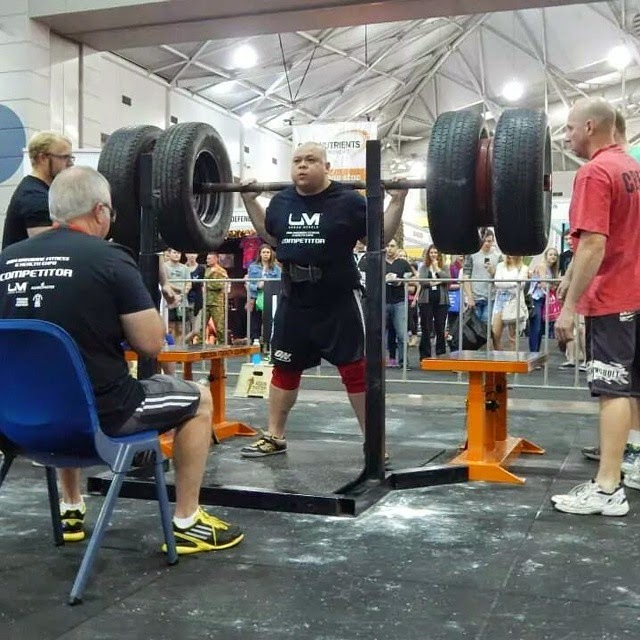 In the recent Brisbane Fitness and Health Expo’s Strongest Man 2014, held on the weekend of 6 September 2014, Taufiq was there as the only foreigner in a pool of Australian strongmen. The competition was a costly quest but his expenses were mostly covered by the organisers and Taufiq is thankful for that. It was a brawny battle with stones and barbells and the 33-year-old managed to hold his own against his Australian counterparts, placing seventh out of nine competitors, meeting his target. Coming into the competition, Taufiq was modest. “My target is to finish between position five to eight… I want to complete all the events, the only event that is probably my weakness is farmer’s walk because I broke my finger,” Taufiq said. “I broke this at last year’s competition,” he raised his left hand to reveal a crooked middle finger, and akin to the toughness associated with the sport, Taufiq jocularly explained how it happened. “Apparently it didn’t heal properly…I have to change my grip, probably a hook grip. This will be heavily strapped up for the competition,” he said. Taufiq said the the two-day competition was an enriching experience. “I wish that I was stronger and I could do better. I really know where my weaknesses are, I just need to improve on them and really work on my weaknesses like my deadlifts, my squats,” said Taufiq. The 1.77m tall Singaporean had a mixed day one, struggling in the 135kg Viking press but notching a personal best for the deadlift with a 305kg lift. Day two proved to be similar as the Farmer’s walk, which involved walking with 120kg logs in each hand over 40 metres, battered his broken finger. “I could pick it up but after I started walking, my grip on the left side just gave way,” said Taufiq. He managed four reps for the 240kg Axle squats before surprising in the last event, his favourite Atlas Stone. An intense spurt saw him lift the 140kg stone over the beam thrice in quick succession before he rallied for a final repetition. “It was definitely just adrenaline, for the second rep, it was just one movement…I don’t know what came over me, I just grabbed and just did it,” said Taufiq. It placed him fourth for the event and secured his seventh position finish overall. The love for strength started when Taufiq was ten. Seated in front of a television screen, the then playful primary schoolboy witnessed stupendous feats of strength in a strongman competition that prompted him down the path of competitive strongman. “I remember when I was 10-years-old, I saw four-time world champion, Magnús Magnússon on TV, they had it on channel 5 a long time ago.” said Taufiq. He was instantly charmed but it was not until 2005 that he started competing. 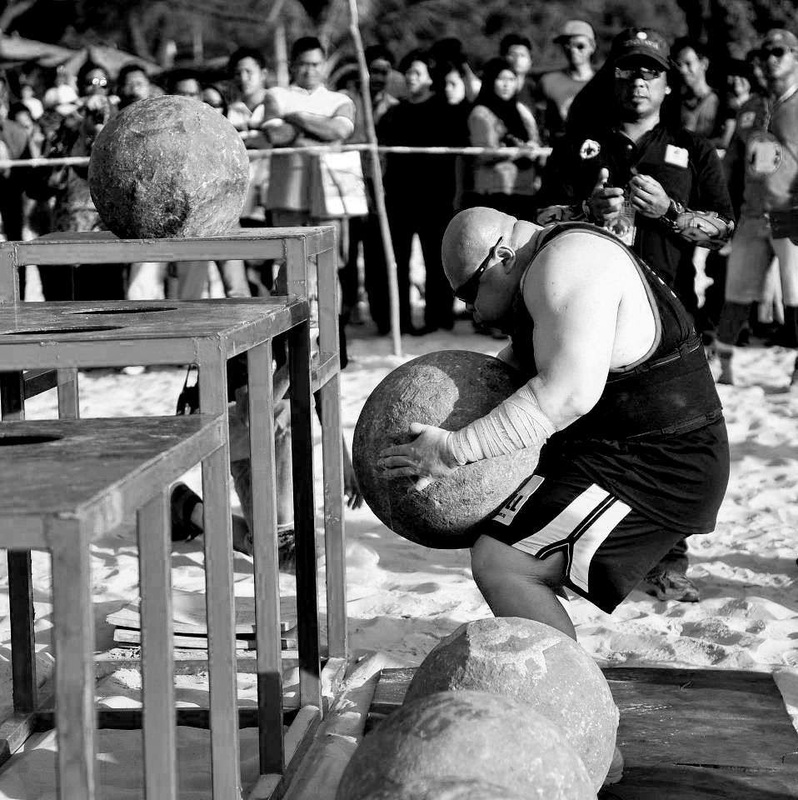 The inaugural HomeTeamNS Strongman Challenge held that year provided a stage for Singapore strongman to compete and Taufiq made sure he signed up. “It’s just that it’s always been something I wanted to do. I mean how cool is it to pull a plane? Or lift stones for example, or pull somebody’s car or lift somebody’s car," said Taufiq. He triumphed in the competition and followed the feat with top five positions over subsequent editions. In 2011, Taufiq went regional, setting his sights on Sabah. He took part in the Orang Kuat Sabah (Sabah’s Strongest Man) 2011 and won it, before repeating the result in 2012. The dominance propelled him to the pinnacle of the strongman stage as he scored an invite by World’s Natural Strongman Federation (WNSF) to compete in the WNSF Lazslo Classic 2012 held in Hungary. Taufiq sought the local sports council for support but only received good wishes for his journey. “I wrote in to Singapore Sports Council when I was going to Hungary and I just got an email back saying ‘Good luck, we wish you all the best for your competition’, but I understood that and they also mentioned it was not an Olympic sport so they couldn’t do anything,” said Taufiq. He eventually got support from 2011 presidential candidate Tan Cheng Bock who helped raised S$3,000 for his trip. Things picked up from there. Last year, he secured a sponsor in Optimum Nutrition, which goes a long way in fuelling the hefty strongman who downs at least eight meals a day. “I’m very fortunate because I’m sponsored by Optimum Nutrition; meals are a mix of supplementation (and food),” said Taufiq as he listed a day’s diet that includes rice, vegetables, meat, fish, eggs, and supplement shakes, sustenance for him when tackling the weights. 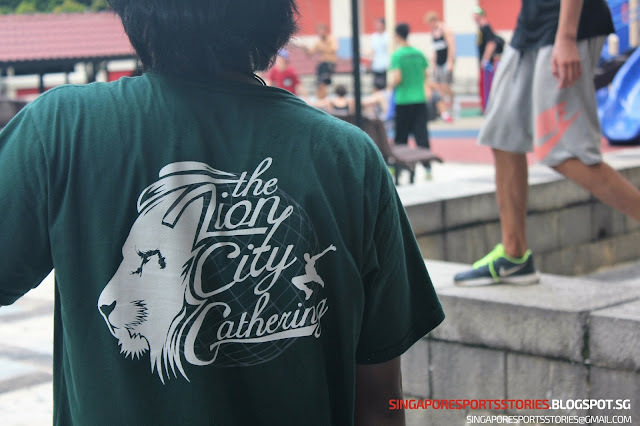 Earlier in July this year, Taufiq successfully organised the Singapore Strongman Classic 2014 in conjunction with Cathay Cineplexes. “I was away in Kota Kinabalu for a break then I got a message from one of the marketing team in Cathay and they asked me whether I was keen on doing a strongman competition at Cathay.” said Taufiq. “I’ve been very privileged to compete in the international level so I just thought to myself, let’s just do it once here and see how the response goes,” he said. Usually tackling the weights at such competitions, the strongman worked behind the scenes this time round and ran the event successfully. He is looking to invite international athletes for the next edition; but till then, he wants to wrestle the weights again. “I felt that I’ve done my part for the strongman community, now it’s time to give back to myself and compete,” said Taufiq. The strongman has eyes on the Strongman’s Champions League finals in Malaysia and Arnold’s Classic 2015 in United States. Support or not, Olympic sport or not, when he faces the huge men of the strongman world, Ahmad Taufiq Muhammad will be raring to go and represent our little nation, Singapore.